Graduation from Mother of Divine Grace School requires completion of 22.5 credits (225 units). Students must also meet our minimum requirements for graduation and (due to the unique methodology and integrated writing used in MODG courses) are required to take at least two MODG courses each year. One of these must be in a core area (History, Religion, or English.) Note: An MODG course is defined as one described by an MODG syllabus, one using the same texts in essentially the same way as an MODG syllabus, or one where a parent-submitted course description demonstrates that MODG school goals for the course are met. This is Mother of Divine Grace School's suggested course of study for high school students and meets/or exceeds the requirements for most colleges in the United States. However, even though colleges do follow a general pattern, every college is different and may require slightly different courses to be completed in high school for admission to their program. So, as the student progresses through high school, he should contact the colleges he is interested in attending for a list of their course requirements. Mother of Divine Grace School's consultants will help the parent adapt the curriculum for each student to meet the requirements for the college he is interested in attending. For example, if the college or program a student was interested in attending required Physics for admission, the consultant would adjust the Science curriculum by combining Natural History and Biology (using our Composite Syllabus) in 10th Grade so that the student could complete Chemistry in 11th Grade and Physics in 12th Grade. The recommendations below from Thomas Aquinas College are an example of a college's course requirements. These recommendations are suggestions for the best high school preparation for their program. In the case of Thomas Aquinas College, they are not requirements, but the student is strongly encouraged to complete these courses. Thomas Aquinas College, like many colleges, evaluates every application for admission on an individual basis. Because Thomas Aquinas College only specifies 15 credits, but 22.5 credits are required for graduation, the balance of credits (7.5) would be used to fulfill California State Requirements in Physical Education, Health, additional Language courses, and of course the Religion courses which are required by Mother of Divine Grace School every year. Because the Minimum Requirements only specify 13.5 credits, but graduation requires 22.5 credits, the balance of credits (9) can be completed with electives or academic courses in the field of the student's choice. Mother of Divine Grace School is interested in helping students acquire the art of learning. Our consultants will assist each student in determining his own course of study to achieve this goal. The course of study above is a suggested course of study. It fulfills the minimum requirements for graduation while still meeting our basic high school goals. The student may substitute other electives or academic courses in the field of his choice, provided he meets the minimum requirements for graduation. For example the student might follow the fine arts suggestions offered in Designing Your Own Classical Curriculum, take voice lessons, play an instrument, be involved in drama, participate in a Shakespeare play, or take dance lessons. He might also take additional math, science or language courses. Or the student might take courses, such as Computer Programming or advanced science courses, at a local community college. 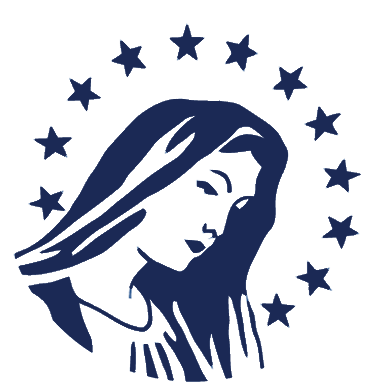 To see a complete list of the high school courses which Mother of Divine Grace School offers please see our list of Syllabi, peruse our Learning Support and Teacher Services class offerings. As noted above, a student may also take other courses (not included in our syllabi) toward graduation and have them recorded on their high school transcript, provided the student meets our course requirements regarding the difficulty and duration of the courses. Mother of Divine Grace School's consultant will help the parent in adapting and verifying these courses. Here is a list of other high school courses a student might take (please note: this is not an exhaustive list). MODG offers a variety of science courses in Learning Support and Teacher Services, including a rigorous STEM method track. MODG offers Latin and French in Learning Support, for more information about our current classes, click here. Travel – Students may receive credit for travel! Some of our students have earned credits for participating in international leadership programs and trips to other countries. Apprenticeship – Students may become an apprentice in order to learn a trade or find out about an occupation and earn credits for their apprenticeship. Work Study – Students who are California residents are permitted by California state law to work up to 24 hours (ages 16–17) or 18 hours (ages 14–15) each week. (Families from other states should check their state laws for Work Permit rules and regulations.) 400 documented hours of work: 1 credit (10 units). Community College – Students may enroll in elective and academic courses at their local community college. Students can earn high school and/or college credit for these courses. Since community colleges provide a transcript, students do not need to purchase and complete an elective portfolio for these classes.